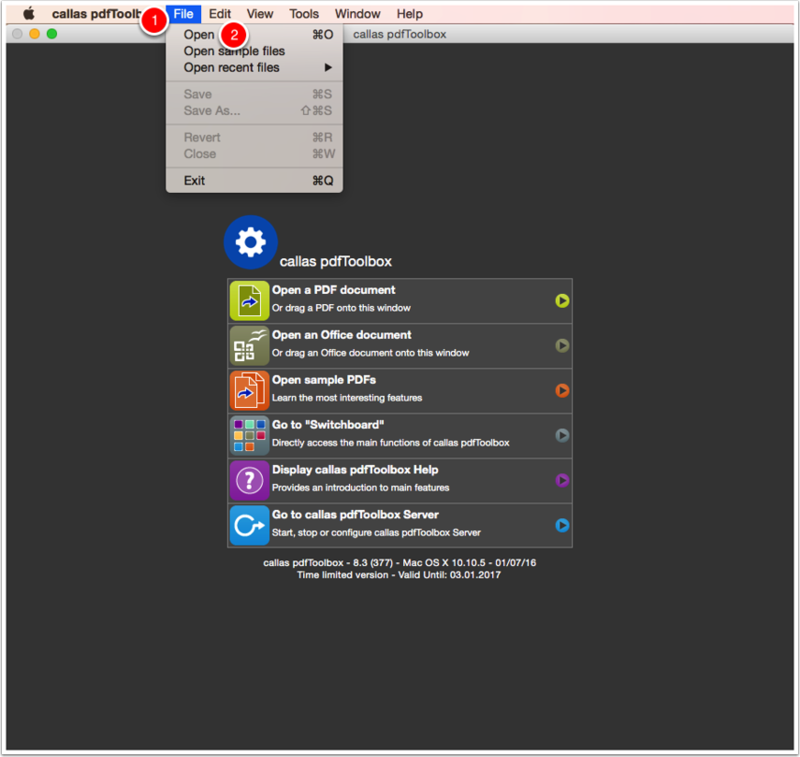 From pdfToolbox 8.0 you are able to convert PDF files to PDF/X-5n and validate the standard too. 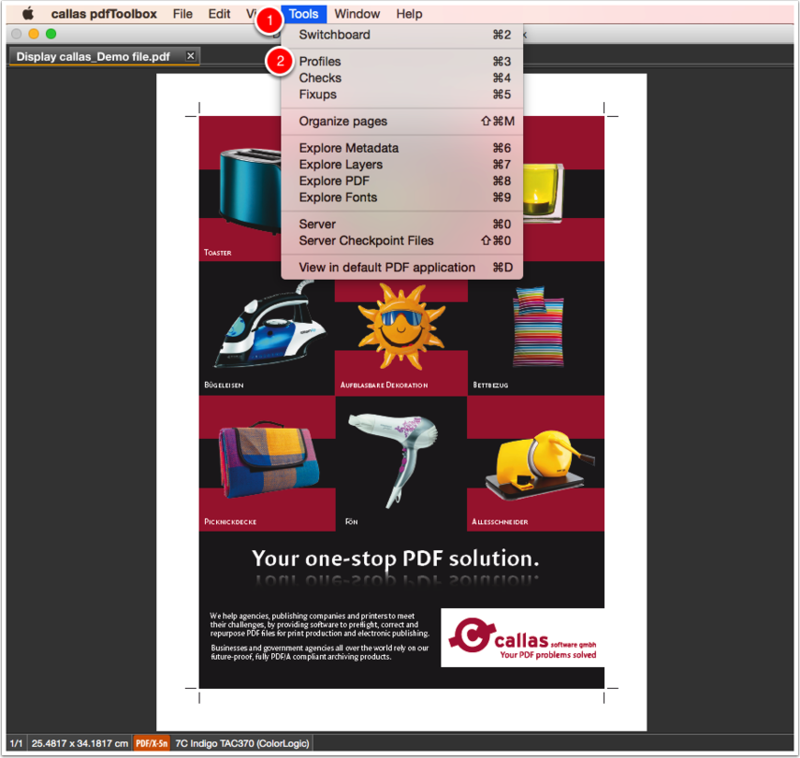 Open the PDF file "Display callas_Demo file.pdf"
Click "Open" to launch the file load dialog box and navigate to the folder where the input PDF file "Display callas_Demo file" is located. In the search field search to "Verify compliance with PDF/X-5n". 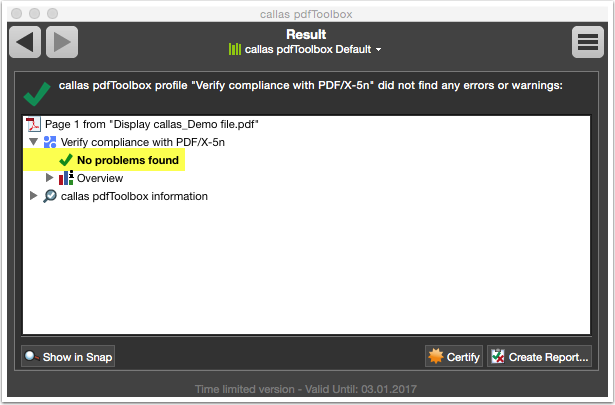 Select Profile "Verify compliance with PDF/X-5n". A green tick shows. No problems are found.